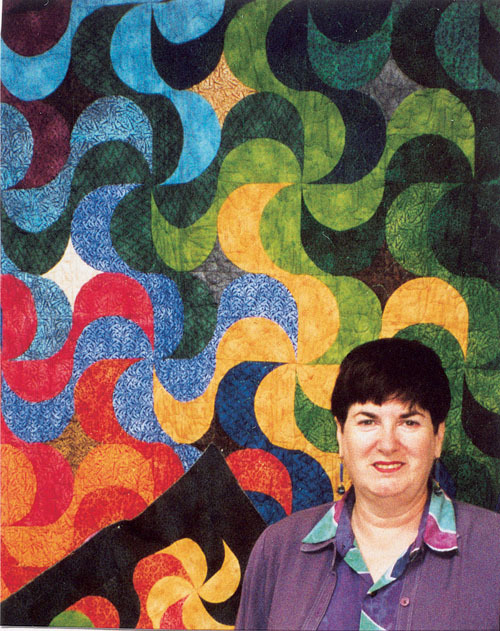 Virginia Walton, quilt designer, author and inventor of the Creative Curves Quilting System and Rulers, is an international teacher who regularly teaches in the United States, Europe, the United Kingdom, and Australia. Amazingly, Virginia became a professional quilter despite almost not getting a passing grade when taking sewing during high school. After spending almost seven years with a mis-diagnosed back problem, and after a couple of operations, one of the first things she did was take a machine piecing class — a “Log Cabin” quilt — successfully! Much to her delight, a new love of teaching quilting became not only an addiction but an avocation, and eventually a business was to be a part of her future. 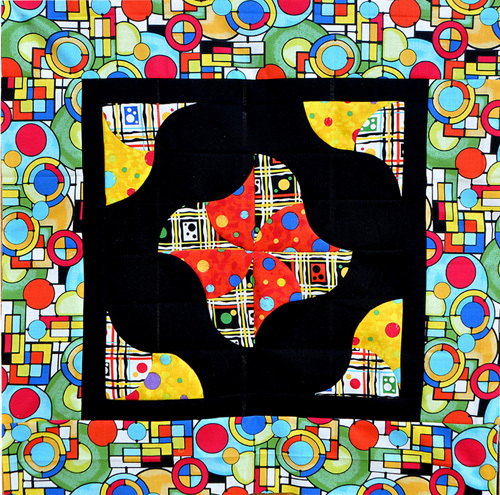 That future would include designing eight quilt rulers, writing ten quilt books, and contributing to numerous quilt magazines, as well as teaching and lecturing both inside and outside the USA. Her assumption that if you cut pieces accurately, they would easily sew together using BERNINA’s quarter-inch Patchwork Foot #37 — without needing to pre-pin — was greeted with amazement, especially when sewing curves. Virginia will be demonstrating how simple this machine piecing technique is during Quilt Market in Houston, on Sunday, October 28th from 10:30 – 12 noon, on the BERNINA 830 sewing machine at the BERNINA Booth (#1644). To contact Virginia and learn more about her products, publications, and teaching schedule, visit www.creativecurves.com.